In 1841 Augustus was in Surrey, in 1851 he was an Inn Keeper’s servant in Grantham, 90 miles from where Sarah was a House servant in Great Driffield, Yorkshire. It is only speculation as to how they met, but Sarah Welborn was rather ironically the illegitimate child of Elizabeth Welborn, who has died by 1841, when Sarah is living with a Marmaduke Smith who is a Shepherd. There is a Jan 1841 death for an Elizabeth Welborn in Grantham , if this is her perhaps they had family here, and they met when she was visiting, or if Augustus continued his move up through the country he could have met her in Yorkshire – I suppose we’ll never know (unless I spend hours more researching, but I don’ have the time at the moment :p). As most households at this time would not have wanted a married female servant, this is the likely reason they decided to elope, or before they could be persuaded apart/separated. Perhaps the whole courtship had been conducted in secret, or perhaps it was just a couple of weeks of whirlwind passion..! Augustus became a photographer at a time that would have been the ‘dawn’ of commercial photography, and obviously he was enamoured enough with his profession and the success he achieved to name his 7th child and 4th son ‘Photo’. Sadly Sarah died in Dec 1867, aged just 31, and as a couple who had loved each other so much they eloped, and had a child a year for 3 years at one point, this must have been devastating for Augustus. The pregnancies may also have been the cause, as it seems she died in childbirth with their last child Herbert Roxby (who dies aged just 5), and being continuously pregnant for 3 years before hand would have put great stress on Sarah’s body, giving her no real time to recover after each birth. By 1881, Photo is still living with his father, along with his brother Major, and by in 1891, Augustus is living with his daughter Rosalind, and Photo is no where to be seen. However we find him again in 1901 calling himself by his middle name Gilbert, living with his wife and 4 children, Augustus, Sarah, and twins Ernest and Rosa. Somewhere between living with his father in 1881, and being married to his wife Edith in 1894, Photo was most probably living on the streets. 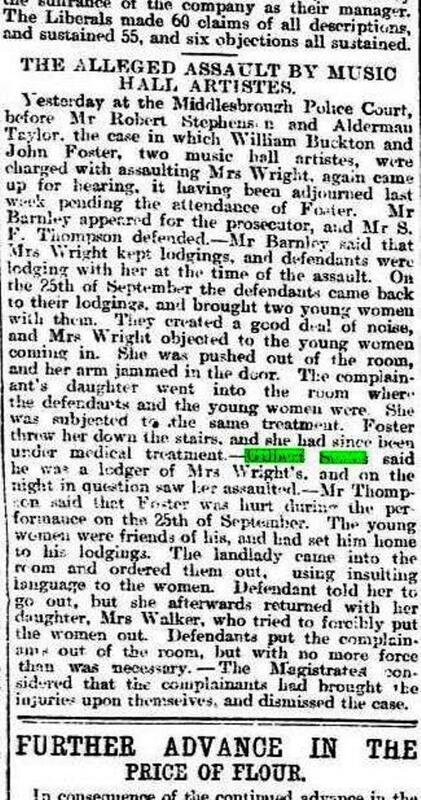 He pops up in the newspapers again as a witness to an assault in 1896. It doesn’t mention his wife here but as they are married we could assume they are living together in the lodging house prior to their move to Norfolk. He is here as Gilbert Scales, but as he went as Gilbert after his marriage, and no other Gilbert scales are born before 1900, we can safely say it’s him! Photo dies quite soon after this in 1904, then his family all emigrate to America, but not together, and although they head upstate once reaching New York, they don’t end up in the same places! Augustus Edwin is first to go, in Oct 1911 from Liverpool to New York on the ship Celtic In 1920 he is shown as living with his cousin (from his mother’s side) Mary Wilkins in Hopewell, Ontario, New York. By 1930 he’s married to a lady named Frances in Detroit (Districts 0001-0250), Wayne, Michigan, with some sprogs to boot. He dies in Michingan in 1986 – at the very ripe old age of 96! Sarah follows in March 1913. 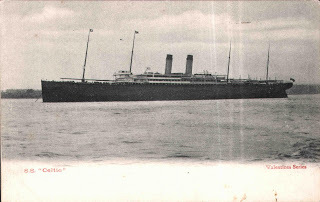 The ship she was on, the Majestic, had been retired from White Star’s New York service and designated as a reserve ship because of the Titantic. When the Titanic met her fate in April, 1912, Majestic was pressed back into service, filling the hole in the transatlantic schedule. So to say Sarah may have been nervous about the journey would probably be an understatement! 1920 finds her as a servant to Philip and Margaretta Wickser in Buffalo Ward 25, Erie, New York. In 1933 she is married to Edwin J Hamister, and the 1940 census finds her not very far away in Buffalo Ward 24, her husband has been unemployed for 20 weeks but previously worked at the Customs bureau. She lives to be 82. Earnest William Scales goes next – aged 15 on the Olympic (by all means the best way to travel across the Atlantic at the time, as it was a sister ship to the Titanic http://en.wikipedia.org/wiki/RMS_Olympic) arriving in New York from Southampton on 06 May 1914. By the 1920 census he’s living with the Brown family, occupation ‘hired man’ in Albion, Orleans. In 1930 he’s still lodging, unmarried, with Edith Chapman.